You learn to socialize in the sand box. The Kale Box is where you learn to nourish yourself. Normally, comfort food does not involve kale or carrots but carbs, cream, sugar, and all things that leave us bloated and slightly disappointed with ourselves. But, one of the best ways to keep your diet on track is to put a healthy spin on that comfort food you crave. For this shepherd’s pie, we’ve upped the veggies and replaced the white potato for its orange cousin. It certainly is a great, warm recipe for the cool weather and will fill you up without the enhanced belly. Meat and Veggies: Heat a large skillet with olive oil on low. Add onions, mushrooms and carrots first and cover for about 15 minutes. 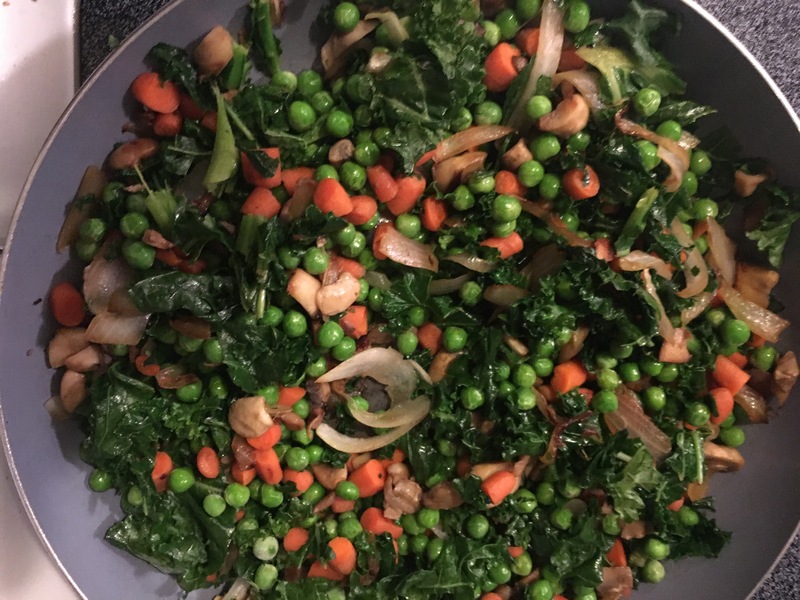 Add kale, diced carrots, and peas. Season beef as you like (we added garlic powder, salt, pepper, cumin, soy sauce and balsamic vinegar). Gradually add meat to the skillet. Raise heat. Sweet Potatoes: Peel sweet potatoes and slice. Bring a medium size pot of water to boil and add potatoes. Once soft, strain and let cool. In a large bowl, add butter or coconut oil and salt. 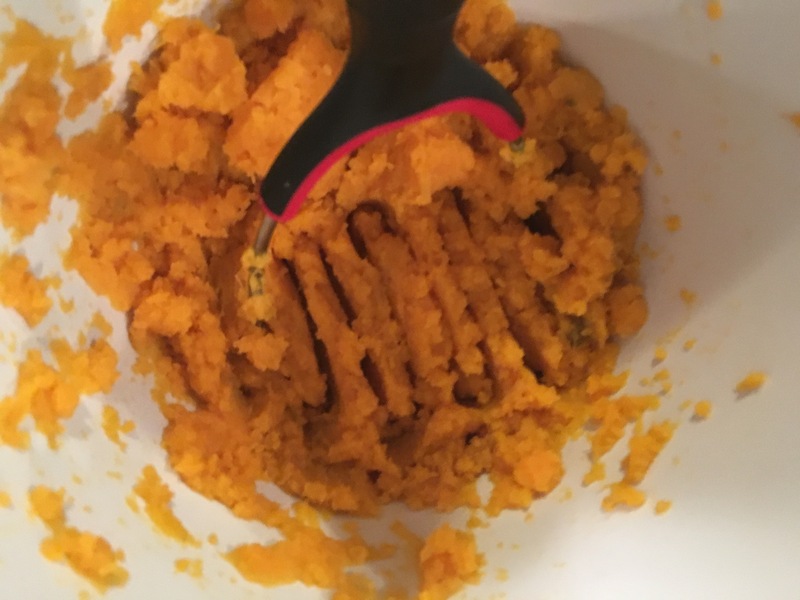 Smash with a masher until smooth. 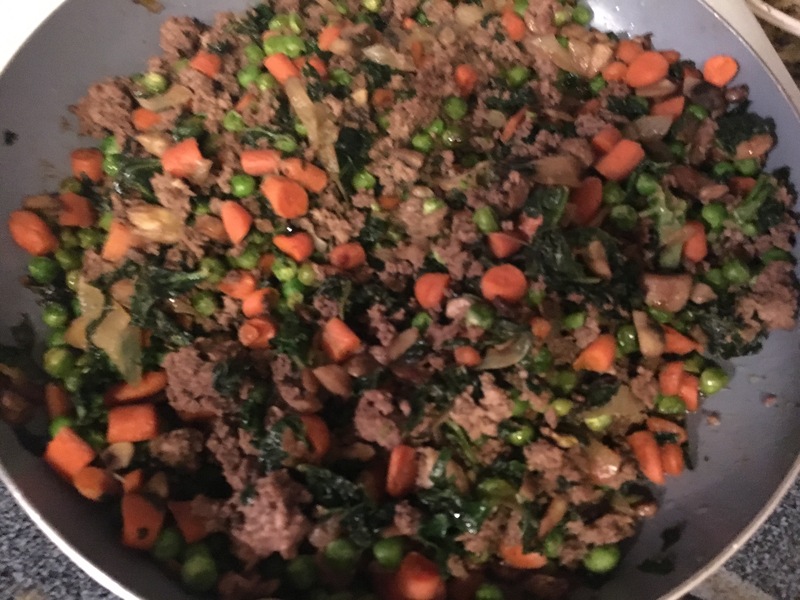 Pie: In a casserole dish, spread out veggie meat mixture. 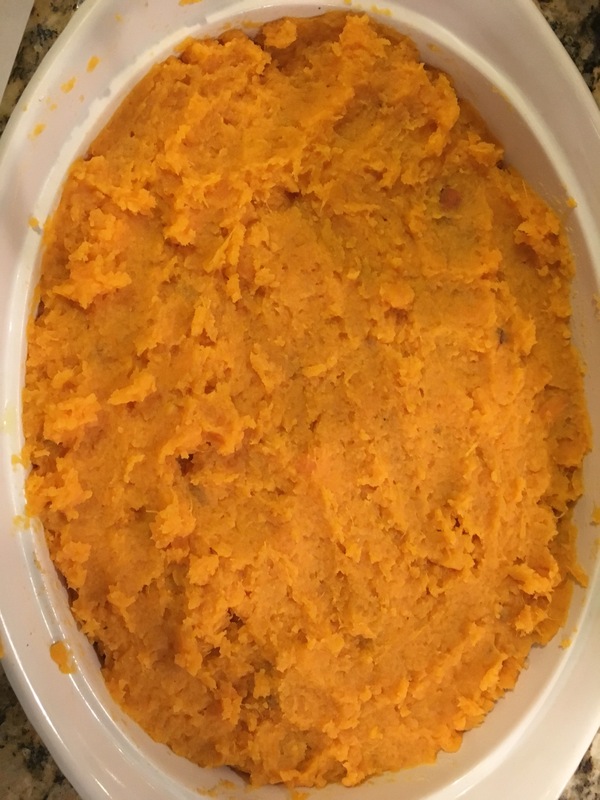 Top with mashed sweet potatoes. Bake for 20 minutes. Broil for 5. 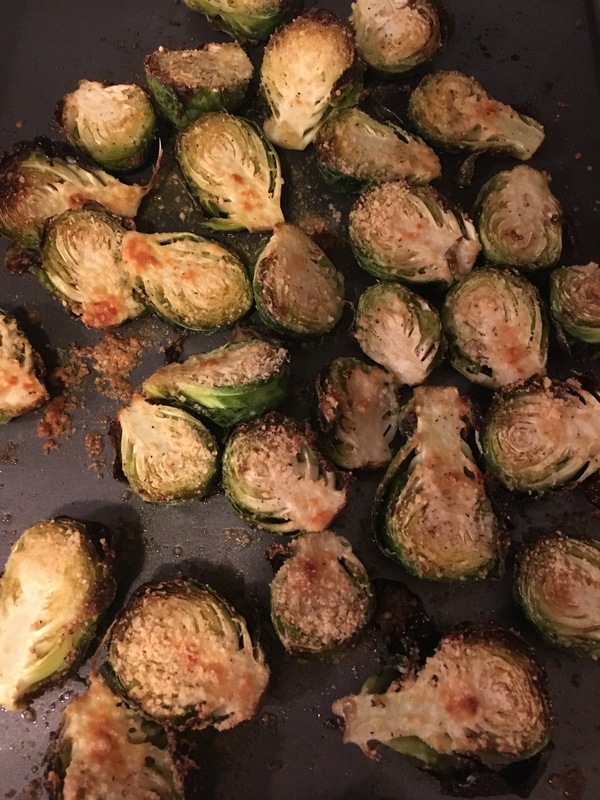 Brussel Sprouts: Cut Brussel Spouts vertically. Season with garlic powder, salt and pepper. Dip in olive oil. Spread out on an a cooking sheet and sprinkle with Parmesan cheese. Bake on 350 for 20 minutes. Broil for 5. It’s best if served with a spatula. The smooth sweet potatoes and savory beef compliment each other amazingly that you forget all about those regular, old white potatoes.